It’s time for another Sew Up North sponsor update. We’ve had some incredible prizes so far I think (check here for the full list) but we aren’t finished yet! I do an awful lot of my fabric shopping online, Don’t we all?! But it’s great when a good, local(to becca) bricks and mortar shop where I can go and stroke the fabric. I think a lack of these types of shops in the past has been one of the main things that stopped me being passionate about sewing earlier in life. 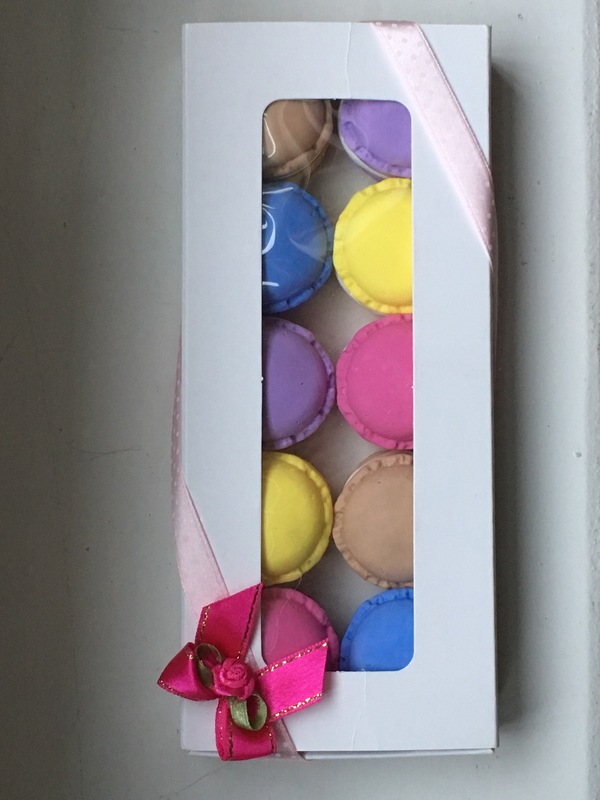 They also stock the fab Oh Sew Quaint pattern weights and Phillipa has very kindly donated a set of the macarons to our raffle prize. Yay!!! Obviously that will require me or Becca not to pinch them before then….. If you want more detail on them, I’ve reviewed the similar Fondant Fancies version earlier this year….yeah I’m one lucky so and so!! They would compliment my Fondant Fancies!! We’ve also got some postcards with a discount code on for the goody bags, so you could enjoy 15% off in the shop – well worth the trip. And if you’re like Becca and her Daughter Katie, you could always pop into Ikea for lunch afterwards! Well why not, I love Swedish Meatballs!! The Food of course….not something else Hahahaha! Thank you Philippa, you’re awesome! ← Sew Crafty Design Team Project – Tilly and The Buttons Fifi PJ’s!